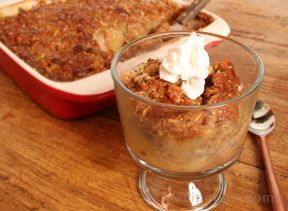 You will be torn between regular apple crisp and this pastry bottom apple crisp. Both are delicious but this has that light and flaky crust like a pie. It is absolutely delicious! Unroll pastry onto baking sheet or pizza pan. Combine sugar, flour and cinnamon in a bowl. Add apples and toss. Arrange the apples to cover the pastry, leaving 1/2 inch around the edge. For the topping, combine the flour, brown sugar, oatmeal, cinnamon and butter. Using a fork, combine to form a coarse crumb. Sprinkle over apples. 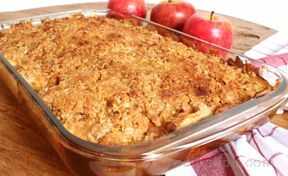 Bake at 375° for 35-40 minutes or until apples are tender and crust is golden brown. 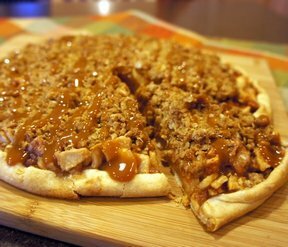 Remove from the oven and immediately drizzle with the caramel topping. "My daughter made this and it was AMAZING! 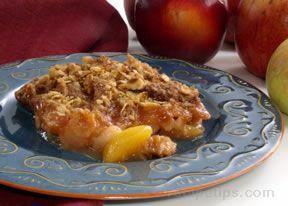 I am going to make this for a dessert since it's my turn to make something for my work. WOW!"